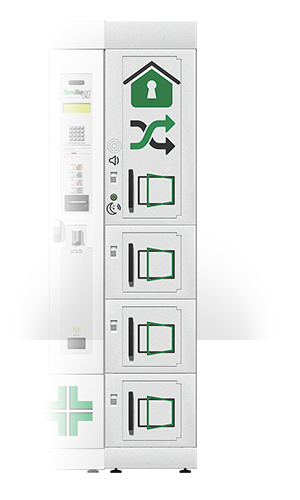 PharmaShop24 boasts a modular system combining two or more display windows with a column module. Greater stock and display capacities. Optimization electronics and payment systems costs. Practical dedicated customer safe box allows safe and secure out-of-hours supply of pharmaceutical products. 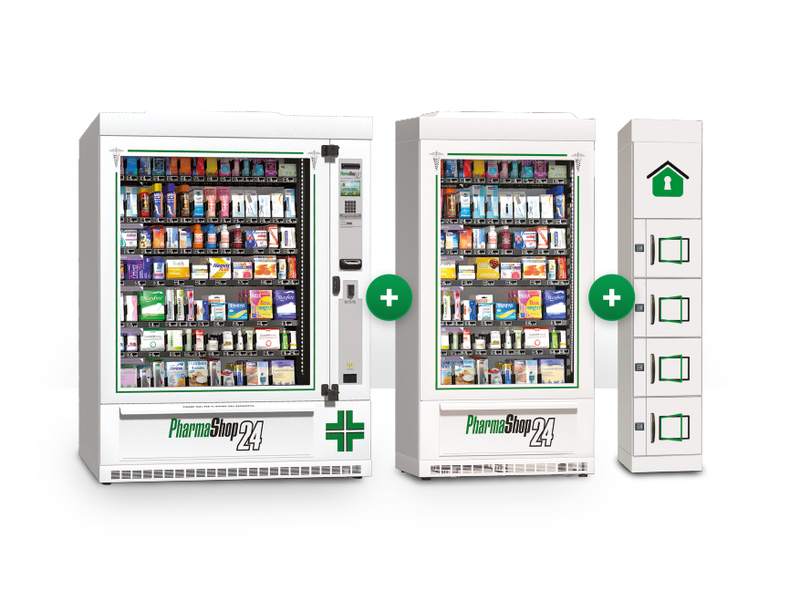 Solution that combines automatic dispensing with a night pay hatch to guarantee the safety of pharmacists during night hours. 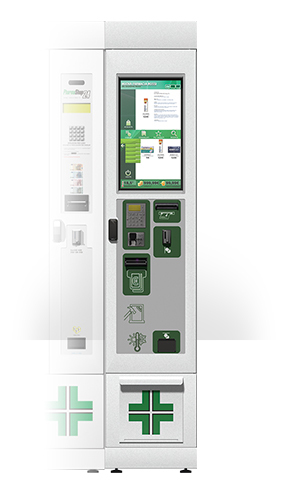 The new intuitive and friendly-use LCD Touch screen Interface with multimedia kit for special offers and products or services promotion.